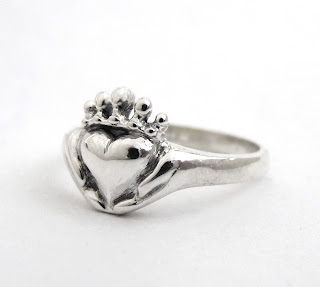 Rickson Jewellery: New Modern Claddagh Ring! 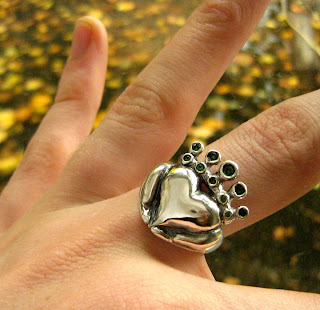 Due to popular demand I've handcrafted a new version of my Modern Claddagh ring! I LOVE creating modern versions of Irish and celtic jewellery in sterling silver, gold and precious gemstones. I've had so many requests for a slightly smaller, more delicate and dainty Claddagh ring, I've finally created it. 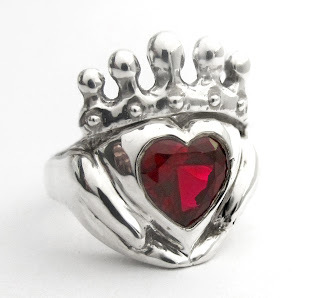 My Classic Claddagh ring is bold and chunky, so it doesn't suit every girl's hand. But this new ring will work on anyone's hand, making it the perfect promise ring for your sweetheart. (Or a special gift for yourself. Enjoy! Don't forget to check out my full Claddagh line of Celtic wedding, engagement rings and promise necklaces. Enjoy! Cool! 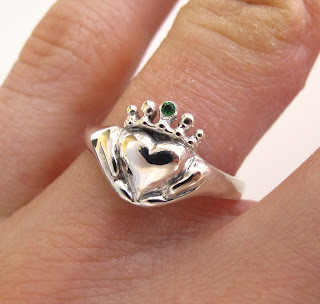 Claddagh rings are one of my favourite types of jewellery, I love them!!! Now-a-days, it has become hard to differentiate between married and unmarried women, because they maintain themselves so well. Traditionally, Claddagh Rings Catalog were meant to provide a clear cut hint that a women is already married, and she cannot be compelled for courtship.